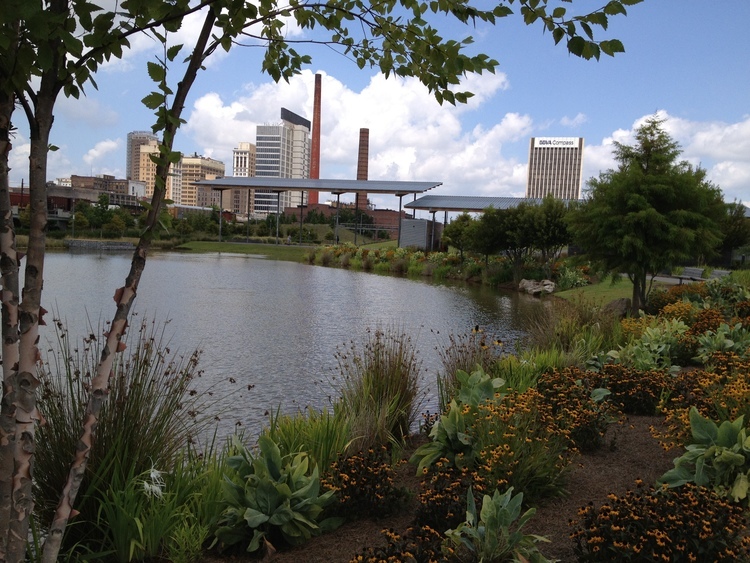 Jane Reed Ross is the woman behind some of our city’s most spectacular public green spaces, including Railroad Park, Rotary Trail, Homewood’s Central Park, and Shades Creek Greenway. 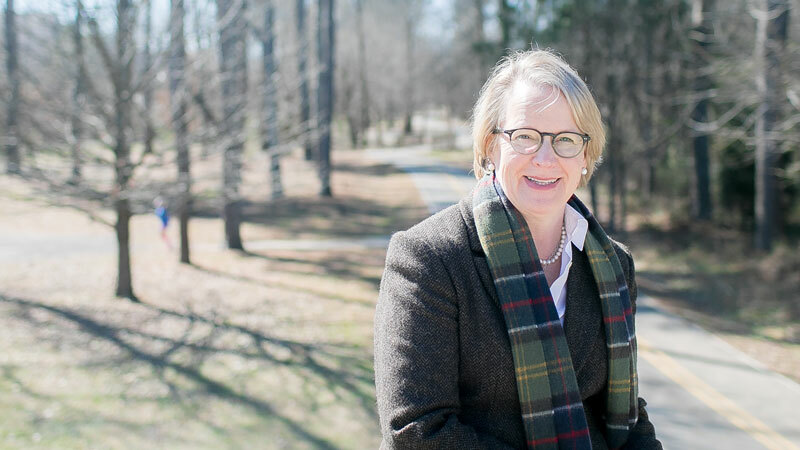 Jane’s vision for a greener, more pedestrian-friendly Birmingham is fueled by her philosophy that engaging parks are critical to enhancing quality of life and building community. In a field stereotypically dominated by men, you found mentorship under fellow Huntsville native and mother of five Harvilee Harbarger, the first licensed female landscape architect in the American Society of Landscape Architects. How did she influence you? It set a tone, early on, that it was entirely possible for me to pursue a creative career and have a successful family life. There are still challenges for women today, but when I was starting out, it was hard for a young southern blonde woman to be taken seriously. At my first college internship, I was hired to join a team of twelve men in a department. They all protested my hiring and were bent on keeping the status quo. I felt motivated to ignore the backlash and forge ahead, and eventually their attitudes began to shift. At the end of two summers, they threw a going-away party for me. Their minds had changed, and mine had too. I believed in myself and understood that each challenge was an opportunity to learn and a springboard to the next job. You design beautiful residential spaces, but you are also passionate about urban design. What drives that passion? I do primarily work in public spaces: parks, trails, streetscapes, plazas, and urban spaces. I was drawn to that from the get-go. I’m passionate about building community in the spaces that facilitate the act of community and invite all kinds of people to come together to live, work, and interact. Designing public spaces is about inclusion. Where did that interest begin? When I was at Auburn, I interned in Washington, DC each summer. I was inspired by how rich DC was in parks and trails back in the seventies and eighties. I would ride my bike everywhere and developed a design vocabulary for public spaces. When I moved to Birmingham thirty-something years ago, people were moving away from the city center. Municipalities were trying to figure out how to bring people back from the suburbs. 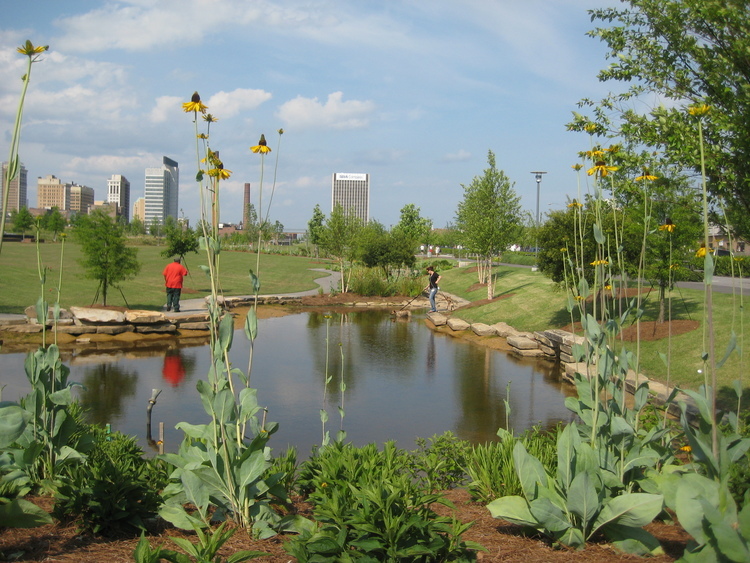 The answer for most cities, especially in the southeast, seemed to be to build more engaging parks. I’ve been fortunate to spend significant time traveling in Europe and Australia and observing the quality of life in other cities, and the most vibrant communities there have really invested in their public spaces. I’m inspired by the creative, smart team I work with at Goodwyn, Mills and Cawood, especially the young people. It’s amazing to me the info, technology, and tools we have at our fingertips to take concepts to actualization, and I am always trying to stay on top of something that’s always evolving! I really try to pursue every project as an exercise in fun. What we are doing should be enjoyable for clients, stakeholders, and our design team. 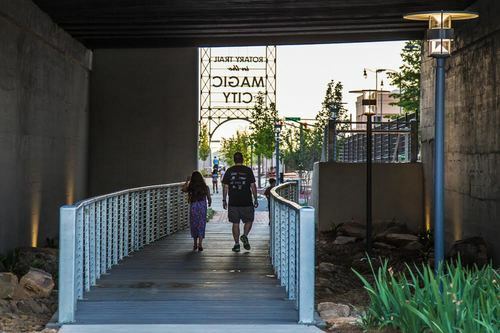 One of your most impactful projects has been Railroad Park, an incredible example of democratic community space that truly serves our citizens. How did the concept of creating green space around a railway become a landmark that is so connected to our city? I was able to become part of that early conversation as Birmingham was rethinking its urban design. What comparable cities had that we did not was that their downtowns were built around rivers. Marjorie White of the Birmingham Historical Society pointed out that although we didn’t have a river, we had a railroad reservation that could serve as a “green river” of parks and trails that would be authentic and unique to our community. The plan for greening our city along this “spine” that is part of our history is a big part of shaping our future. Birmingham is a city of change, and we have so much drive and talent putting us on the map for positive and progressive growth and incredible quality of life.